So who was the man in the cylinder, how did he get there and was he there of his own accord? these were the questions that sprung to mind when I first heard this tale. 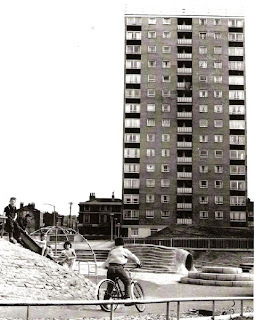 It referred to a cylinder, which was found near the junction of Great Homer Street and Fulford Street in Kirkdale. The site had been bombed and burned out during the blitz and when the area was cleared after the war, the cylinder, which was about seven feet long and two feet in diameter, was dislodged from the ruins of one of the buildings which had stood there and left on the waste ground where it remained. Children played around it people sat on until one day, a boy named Tommy Lawless, apparently playing hide and seek noticed a mummified human foot poking out of one end and fetched the police. The P.C. who was on patrol in the area was Robert Baillie , he attended at the scene of this gruesome find. A body was found inside the cylinder and from its attire was clearly Victorian and was wearing narrow striped trousers, a morning coat and a bow tie. It was naturally assumed that the body inside must have been a casualty of the blitz and the cylinder was taken to the city mortuary to be opened. The remains were inspected by Dr. Charles Vincent Harrison, the deputy coroner, forensics expert, Dr J.B. Firth. and the coroner himself, Dr. G.C. Mort. The body of the man was actually lying on a rough bed with a pillow at his head. The ends of the cylinder had been hammered shut from outside. The Police were never able to confirm his identity but speculation leads us to believe it was the body of Thomas Cregreen Williams, of 29 Clifton Road, Anfield, there was some evidence to back up this speculation. Papers found on the body referred to a company Called, T C Williams, and there were suggestions that the company had been facing bankruptcy in the later part of the 19th century. The forensic expert Dr Firth stated that it was his opinion that the man died some time after 1885. So, did he climb into the cylinder to hide, was the cylinder intended as a temporary hiding place from his creditors? eventually becoming his coffin. One must assume he had help if this was the case, as the ends were hammered shut. Did his accomplice come back and find him dead? Or was he murdered? We will never know. 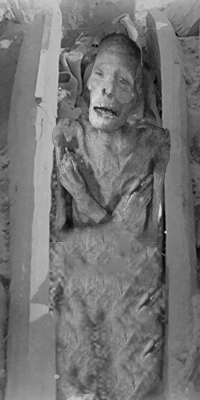 A preliminary pathological examination established the fact that they were Those of a man about six feet tall, of slim build and indeterminate age, but probably Over 25 years. He had been dressed in old fashioned clothing which had cloth buttons and cloth sided boots, which had been soled and heeled, and a bow tie. Alongside the remains were also found a signet ring with a green stone with a red spot and a bunch of badly corroded keys. 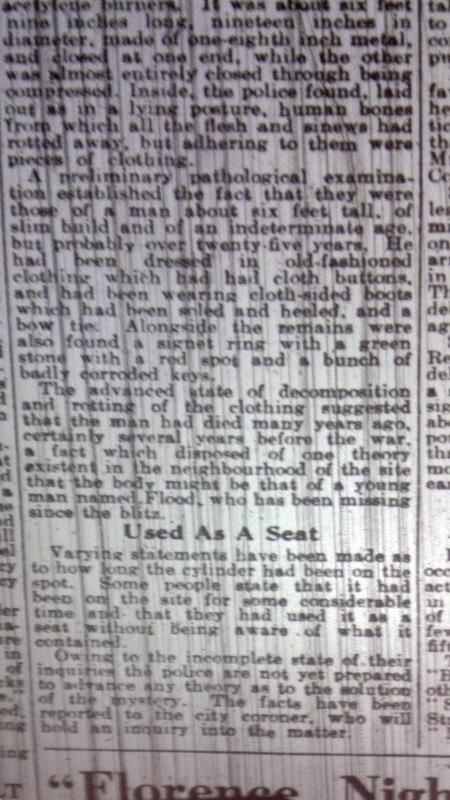 The advanced state of decomposition and rotting of the clothing suggested that the man had Died many years ago, certainly several years before the war, a fact that disposed of one theory existent in the neighbourhood of the site, that the body might be that of a young man named Flood, Who has been missing since the blitz. Varying statements have been made as to how long the cylinder had been on the spot. 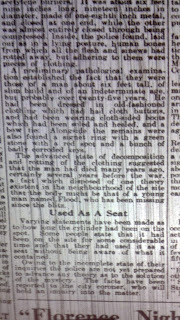 Some people State that it had been on the site for some considerable time and that they had used it as a seat, without being aware of what it contained. Owing to the incomplete state of their inquiries the Police are not prepared to advance any theory as to the solution of the mystery. The facts have been reported to the city coroner who will hold an inquiry into the matter. to play in was maybe not a good idea. The discovery: Friday 13th July 1945. 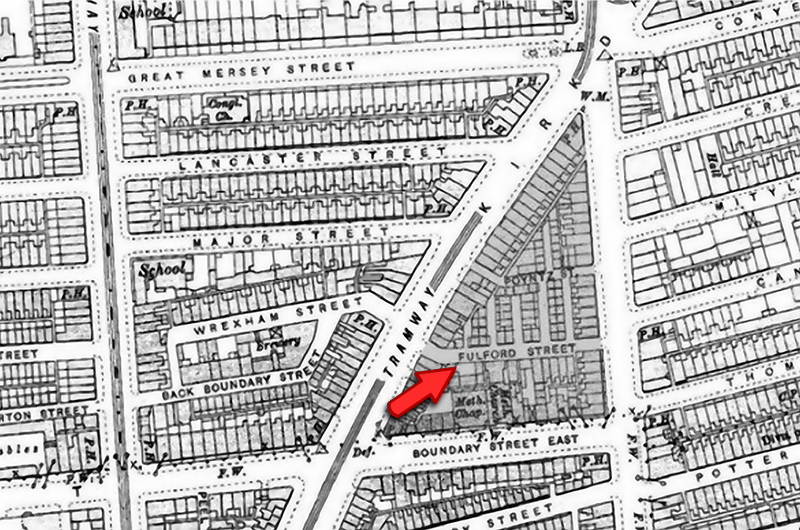 The location: The corner of Fulford Street and Great Homer Street. Date of death - circa July 4th 1885. 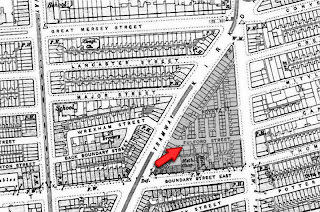 Resided at: 29 Clifton Road, Anfield. Place of work: Owned T.C. Williams & Co. paintworks at 18-20 Leeds st.
Reason for death: Possible suicide as he was being inspected by accountants. or, Possible accident as the result of crawling in there to sleep.